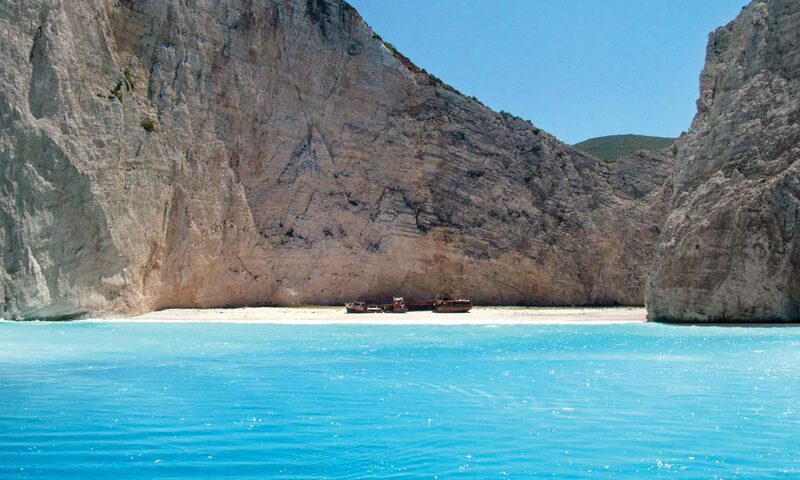 The VIP Shipwreck and Blue Caves boat trip is a Zakynthos Zante holiday highlight. On this Zante island tour you will enjoy some of the most famous sights in Zante, while avoiding mass tourism. The Zakynthos island excursion VIP Shipwreck and Blue Caves begins early in the morning, with pick-ups by our 48 seated coach from every holiday resort. 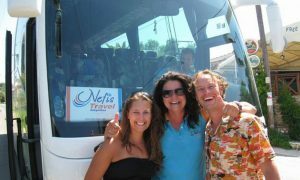 Your Nefis Travel Zakynthos guides, who are all fluent in English, will give you an interesting commentary as you travel up the east coast of Zante, on this unique Zakynthos island boat trip and bus tour. 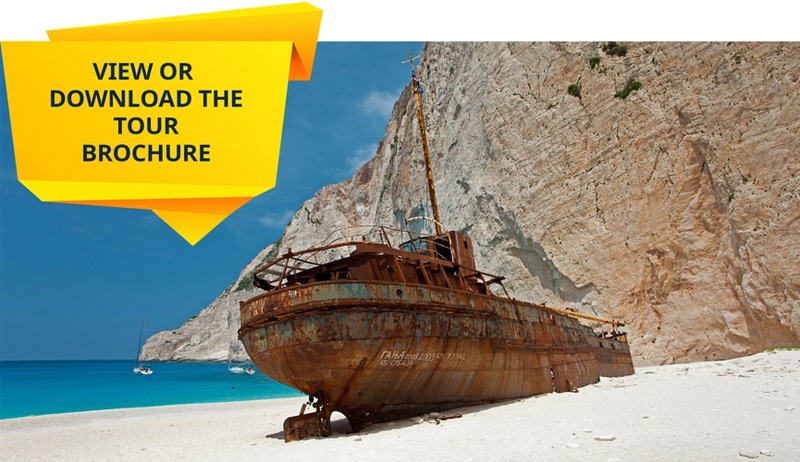 They will provide you with information regarding this Zakynthos excursion, as well as special stories about the history, culture and mythology of Zante Island. Your first stop on the VIP tour Shipwreck Bay and Blue Caves boat trip will be a fantastic photo opportunity at the top of the Alykes Hills. From here you can see all over the island of Zakynthos, as well as the main land of Greece and the neighboring island of Kefalonia. 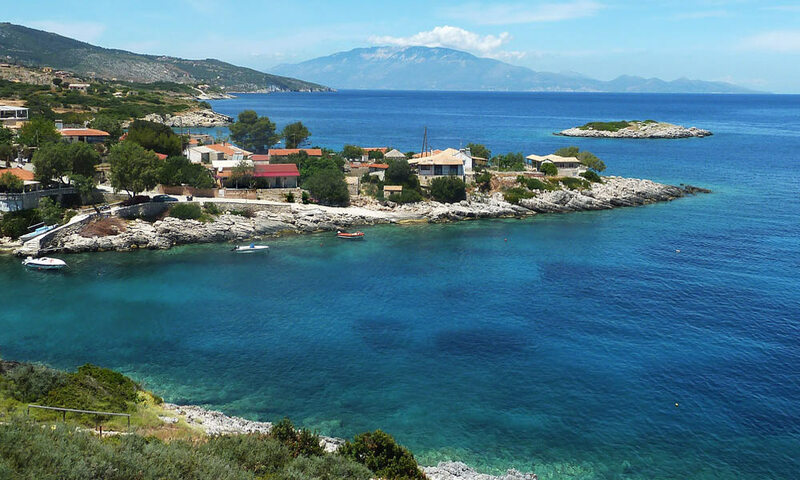 After enjoying a beautiful drive along the northern coast of Zante we will stop in the region of the traditional village of Micro Nisi to board the 2 speedboats for Shipwreck Bay and the Blue Caves. You will have a view of this charming Greek Island village as we make our way out to sea. The Nefis Travel Zakynthos VIP Shipwreck and Blue Caves boat trip features a ride on a 25 seated passenger, highly secure and ultra-fast speedboat with a glass bottom. Our boat excursion's first stop of the day is Shipwreck Bay. On our way we are often lucky enough to spot some dolphins and even the local the Monachus Monachus seal. The boat trip from Micro Nisi to Shipwreck Bay usually takes around 30 minutes. As the first arrivals to Shipwreck Bay every day we enjoy a very peaceful, and often exclusive, time on the famous Shipwreck Beach. 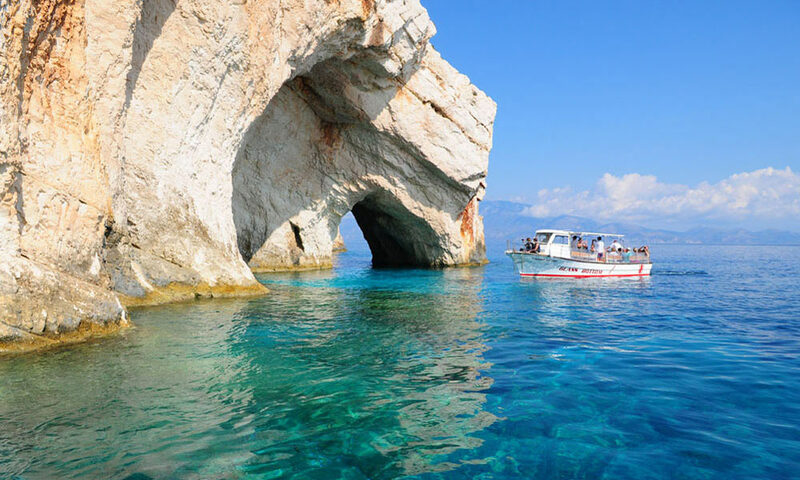 Next on the itinerary of our boat excursion, is a boat trip into the beautiful Blue Caves of Zakynthos. 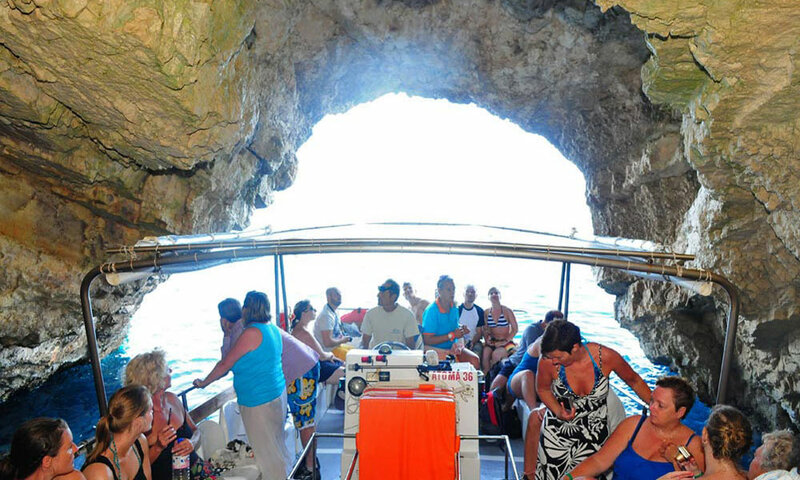 Our Nefis Travel Zakynthos speedboat has the ability to safely enter the Blue Caves of Zante. We stop to take photos of the sea caves and arches, as well as the stunning translucent blue waters. 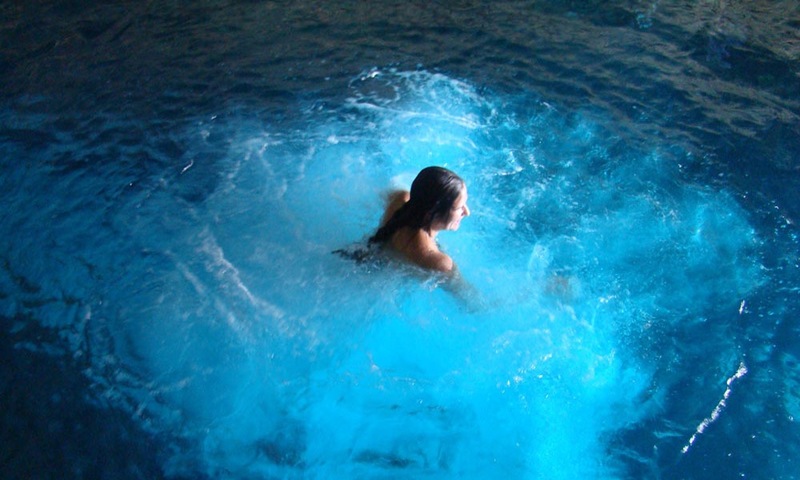 Those who wish to fully experience the phenomenon of the Blue Caves can take a dip in the blue waters. Your whole body takes on the blue hues and everyone enjoys photographing all the swimming "blue Smurfs"! Don’t worry though, this is just an optical illusion and the blue hue will disappear once out of the water. By the time we return to land everyone is ready for a lunch and we eat, with an enchanting view, overlooking the village of Micro Nisi, with Kefalonia floating in the distance. 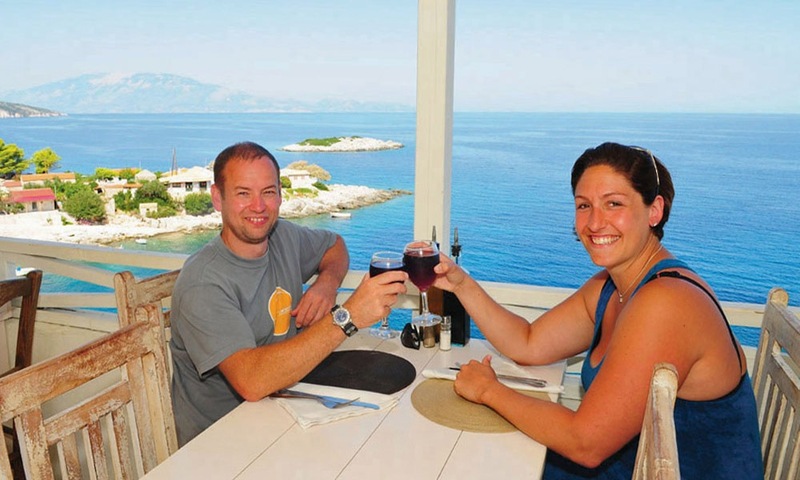 With a selection of Modern Greek food on the menu – this is always a popular lunch stop. Our final destination during the VIP Shipwreck and Blue Caves Zakynthos boat trip and bus tour, is the natural Sea Spa of Xingia. The Xingia Spa Beach is a beautiful small sandy bay. The turquoise blue sea here contains traces of sulphur and collagen. The sulphur and collagen pours down from the mountains into the sea and has been proven to offer significant health benefits. A swim in the healthy waters, combined with a Nefis Travel Zakynthos sand scrub, will revitalize your energy and polish your skin. 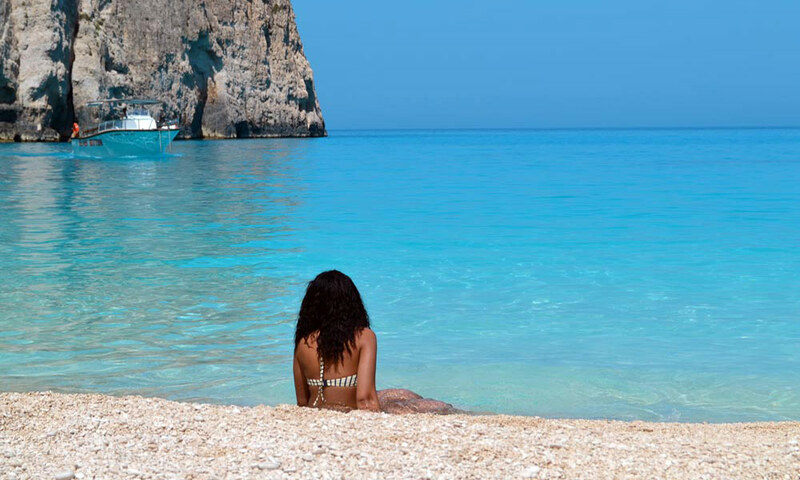 Many visitors have reported feeling younger and relaxed due to this natural phenomenon in the North of Zakynthos. 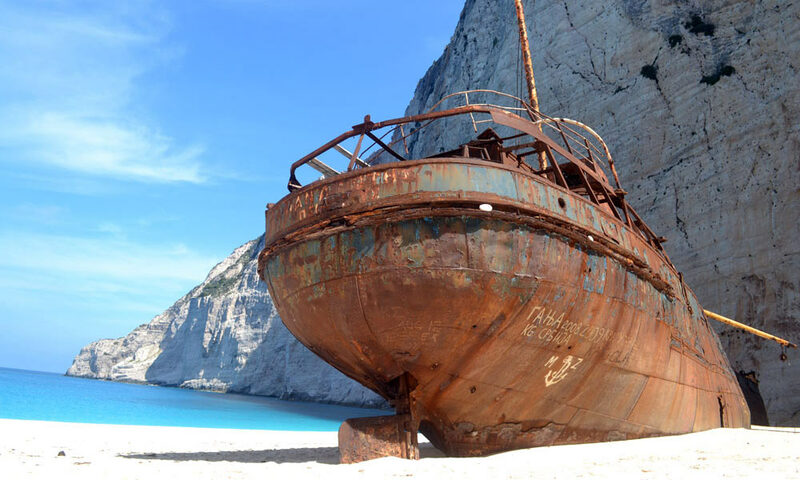 Nefis Travel Zakynthos VIP Shipwreck and Blue Caves tour is the ultimate way to escape the crowds and enjoy some of the most beautiful places that Zakynthos has to offer. The excursion includes a guided bus tour to the north of the island with a picture stop of 5-10 minutes. 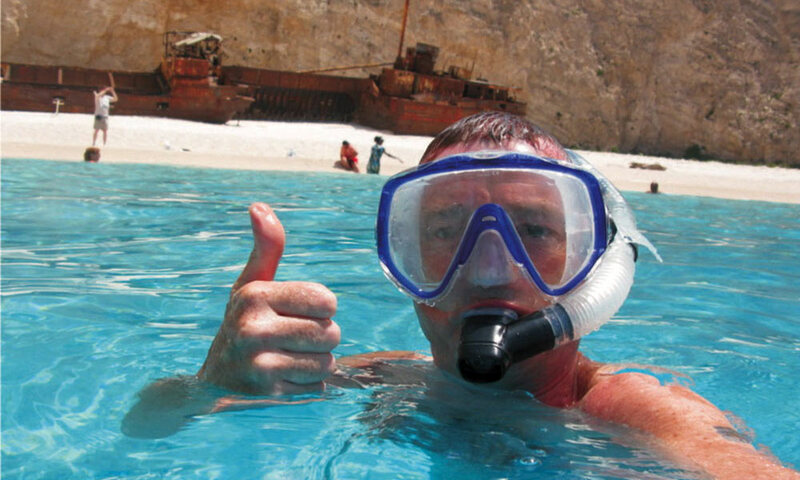 The Shipwreck and Blue Caves boat trip consists of a 3 hour speedboat tour with 2 swim stops at Shipwreck Bay for 1 hour and at the Blue Caves for 20 min. We will stop for lunch and a have visit at the Xingia beach and Sea spa for 1 hour. There will be steps involved to the speedboats, the tavern & Xingia. 90% of the times we land directly on to the Shipwreck beach. When the sea conditions don’t allow us, the guests can swim to the beach. If neither this is not possible due to safety reasons, we only stop for photos. 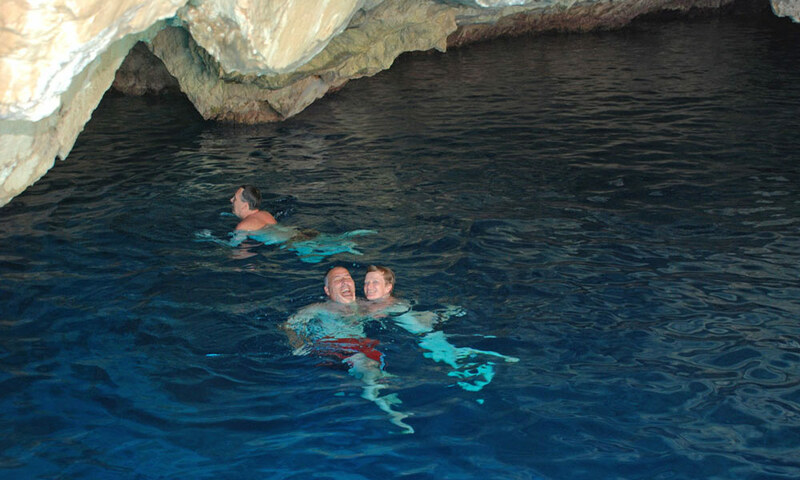 At the Blue Caves the captain will dock the boat close to the cave, so you can have a swim. The lunch is not included in the price, but it’s allowed to bring your own packed lunch, which can be consumed in the restaurant. • As the season moves to the autumn months the sun's rays will take longer to reach the Shipwreck beach. • The time we are allowed to spend in the Shipwreck bay area will depend on weather conditions and compliance with local by laws. 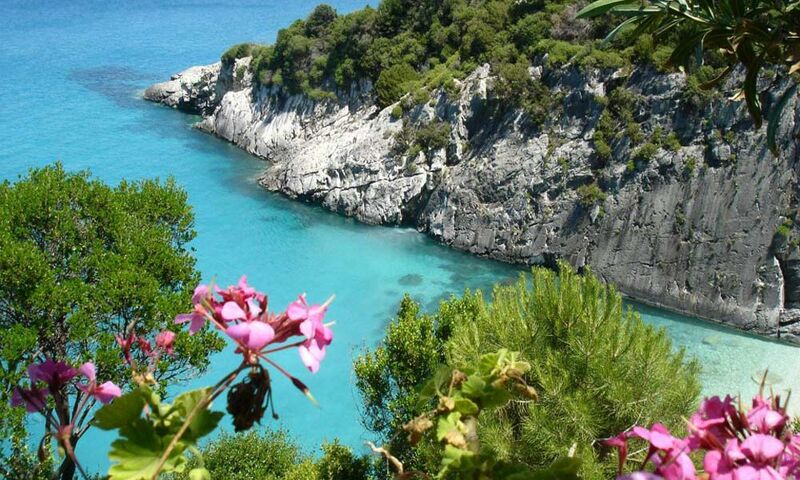 • We visit Xingia bay after lunch, meaning by bus from the road side not by boat. Monday, Wednesday, Thursday and Saturday. From 15 May until end September, the tour is daily. We have just arrived back in Aberdeenshire after our wonderful week in Tsilivi. We stayed at the Lesante Hotel & Spa (first class) and without a doubt the highlight of our break was the VIP Shipwreck tour on Sat 5th Sept. Jackie provided a superb day out, with 5 beautiful locations included. Her knowledge and enthusiasm for the island is immediately apparent, and we were delighted with the whole experience. I cannot recommend this special trip highly enough!! Terrific day out with a really pleasant guide and a great price! While in Tsilivi we booked the Blue Caves and Shipwreck tour with Nefis and we definitely got more than we bargained for. Getting to the shipwreck beach before the masses was a bonus. Having lunch in the fishing village then bathing in the sulphur beach, plus the tales and information provided by Jackie all helped to make this a truely memorable excursion – definitely to be recommended. Hello Darling Jackie and greetings from rainy windy England!! We wanted to let you and all those who have yet to visit Zakynthos know what a brilliant trip we had with you to the shipwreck and blue caves! Everything was perfect and we would not hesitate in recommending you and Nefis Travel, we certainly will be seeing you again when we return to beautiful Zakynthos! We were thrilled to see and hear you perform at the Lesante Hotel you have a fantastic voice (Are there no end to your talents!!) and thank you so much for giving our son Ryan an opportunity to perform with you and your musicians! We wish you and your family good health and every success for the future. Thank you Jackie for making our visit to Zakynthos extra special. 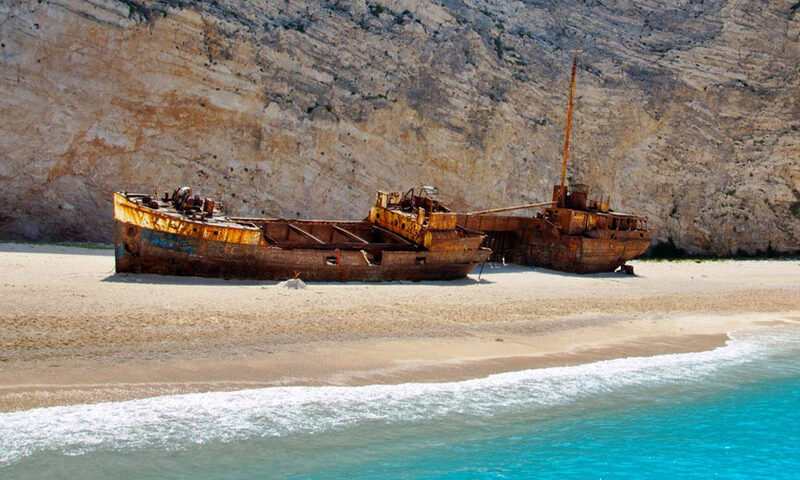 After returning from Tsilivi one of the 1st things I want to do is recomend Nefis’s VIP shipwreck tour to anybody who stumbles upon this website. We went on the trip and it was fantastic, you get to swim in caves, visit the shipwreck before the crowds and experience the sulphur beach (which made my skin feel amazing)! The trip was well worth the price and we couldn’t of asked for a better guide, Jackie. Jackie knows anything and everything about Zante and was very interesting to listen to, such a nice lady. 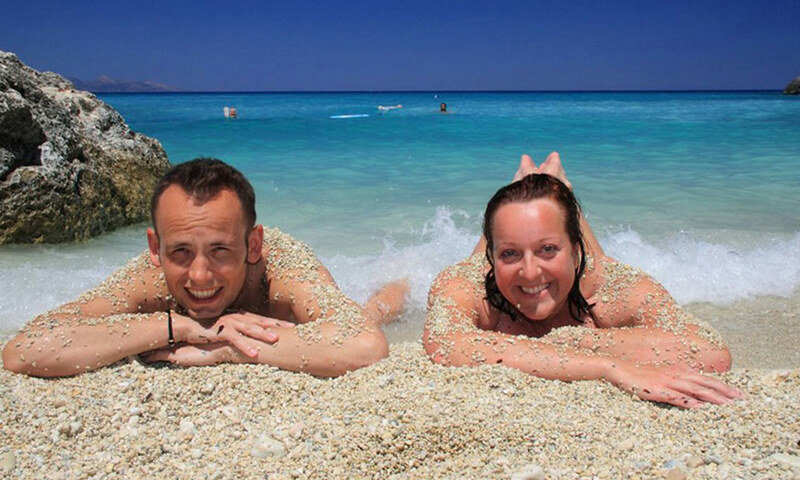 We have just returned from a fantastic holiday in Tsilivi Zante. We had a great day out with nefis travel and jacki exploring shipwreck island and swimming in the beautiful blue caves, then on to lunch at a lovely taverna that served fabulous food with great service. Then we went on to the sulphur springs what an experience… WE LOVED IT!! Its the second year i have done this trip with nefis travel and jacki and i would recommend it to everyone and would be back again to do the same next year. This was an absolutely fantastic trip, we took our two teenage sons who enjoyed the trip equally. The early start was well worth it getting to the shipwreck beach before all the other boats carrying 100’s of people. Our group travelled by two speedboats (a thrill in inself). The colour of the sea at the Shipwreck beach was such a beautiful turquouise colour we were totally mesmorized! The lads particularly enjoyed the swim stop at the Blue Caves. The taverna we stopped at for breakfast/refreshments and later for lunch was in a superb spot with beautiful views overlooking the sea, the food was excellent too. Stopping at the sulphur/collagen beach on the way home was also a highlight, a lovely setting, very picturesque, and we all tried the body scrubbing, which did feel good! Thank you for an absolutely wonderful trip Jackie and co, we would definitely do a repeat of this exact trip if (hopefully when) we return to beautiful Zakynthos. We had a great holiday in Tsilivi especially on the two excursion we did the Shipwreck and Back to roots which was my favourite. Jackie was a great tour guide full of passion and knowledge about Greek Mythology (i loved the little tales she told). Not only is she multi-lingual but she has a talent for singing. She found the best taverna’s to eat at and created a great atmosphere for our small group. Use our booking form to send your booking request and receive an exclusive 10% discount upon confirmation. Free transfer from nearly all Zakynthos resorts is included! Will you pick me up from my holiday resort? Yes, we have pick up transfers from nearly all the Zakynthos resorts but please keep in mind that South Vassilkos and the Harbour of Keri are remote areas in Zakynthos. We will do our very best to give you the pickup service transfer with a small extra cost, but we do ask cooperation in being flexible with the days and cannot guarantee a pick up from these areas. Can I participate in the VIP tours, with my rental car? You can join our boat trips with your rental car. You can book tickets by email or through our booking form and meet us at the port where we will board our Shipwreck and Blue Caves tour and the Turtle Spotting tour. In this way you have the freedom of your own transport and you will enjoy arriving at the Shipwreck bay before the crowds, see the turtles in an eco-friendly way and help the turtles in their fight for survival. You can book your tours by email, Whats App or at our Nefis Travel Zakynthos facebook page by personal messages. Jackie and Mariska will answer you on a 24-7 basis. You can also use our website’s booking form (you can find it on each tour’s informational page) to send a booking request for your desired tour and date. You can pay upon arrival at the ticket delivery service on your arrival day, one of our team members will come to your holiday address to take care of it all. You can pay by Credit Card in the offices in Tsilivi or by signing an Authorized Credit Card form. If you have an IBAN number then you can also easily pay into our bank account. If you pay by Credit Card or bank account, we will send the tickets to you by email with the explanation of where the pick-up point for the tours will be. The choice is yours. Are the tours child friendly and what is considered child age? 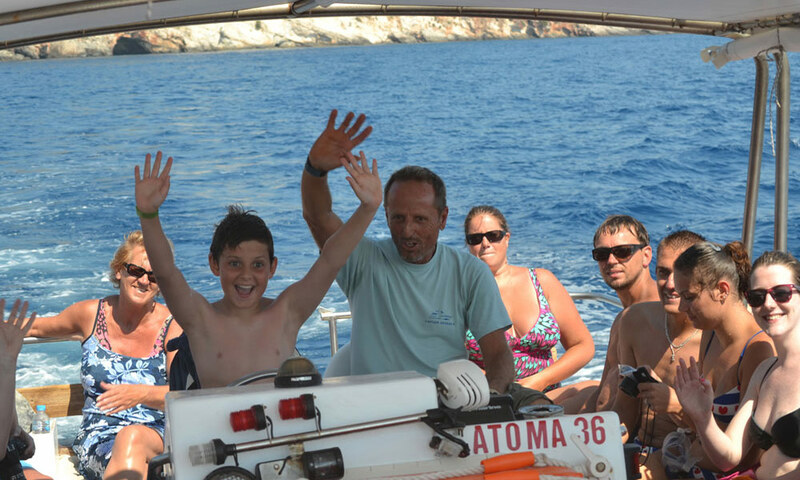 On our VIP Eco-friendly turtle spotting tour, we will have a presentation from the Sea Protection Society Archelon where the children will learn about the high endangered Caretta - Caretta Turtles and in a pirate game they will also learn a few facts about Odysseus while looking for the treasure. At our VIP "Back to the roots" tour they will hear a few nice short Greek mythology stories and see and learn how Zakynthian olive oil and local sweet are made. They can sing along with the live music over lunch and the tour has many stops, what means that they will be out and about and entertaint the whole day. Many of our little Nefis friends have send us beautiful drawings, from this unique tour afterwards. 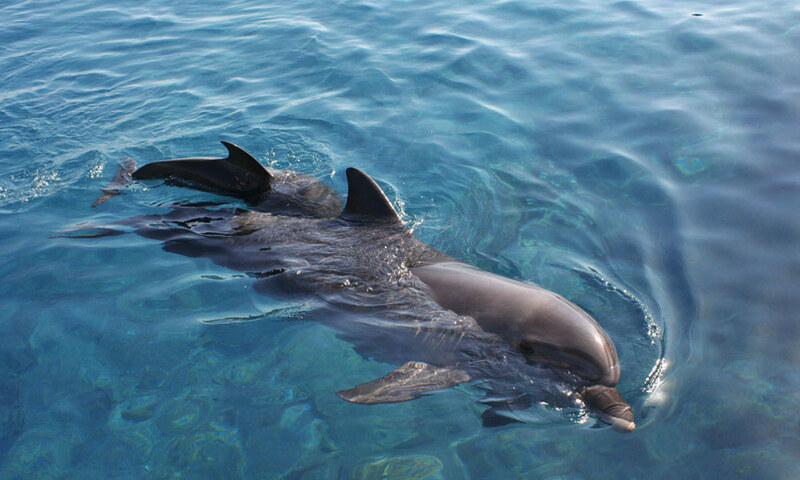 At our VIP Shipwreck and Blue Caves tour the children might see dolphins or our Monachus Monachus seals and get guided with nice stories about Zante. On certain days they will be able to enter a pirate game at the Smugglers Cove, please do ask about this opportunity! Our family tours are designed to spark a passion, inspire a sense of wonder, and enrich understanding. How do I receive a 10% discount? If you book over the internet, you will automatically get a 10% discount. Do you have early bird discounts or group discounts? With our 10% internet discount we reward all the early birds, but we also offer tailor-made extra discounts for groups and multiple bookings. Is lunch included on the tours? May I bring a lunch box? Lunch is NOT INCLUDED on any of the Nefis Travel tours, but our dear Nefis Travel guests are more than welcome to bring their lunch boxes on the tours. The tavernas that we work with are informed about this extra service at Nefis Travel and you are even allowed to bring your lunch boxes into the tavernas used on the tours. 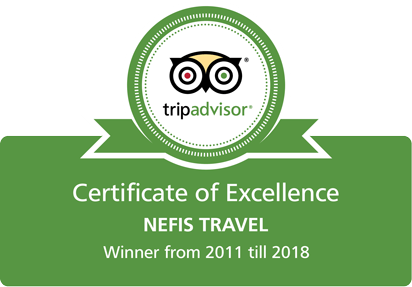 How can i contact Nefis Travel? You can contact us by phone (+30 2695048004, +30 6984534687, +30 6975765741) or email (info@nefis-travel.com) or through our website's contact form. You can also reach us by sending a message via Facebook or Whats App. What happens if the sea conditions are not okay for a tour? We at Nefis Travel provide the highest level of customer service given on the island. If the weather reports are bad, we will cancel the tours and give you a refund. If the weather shows a 50-50 situation, we will phone you on your mobiles or at the hotels before the tour starts and tell you that we might have to use an alternative program. 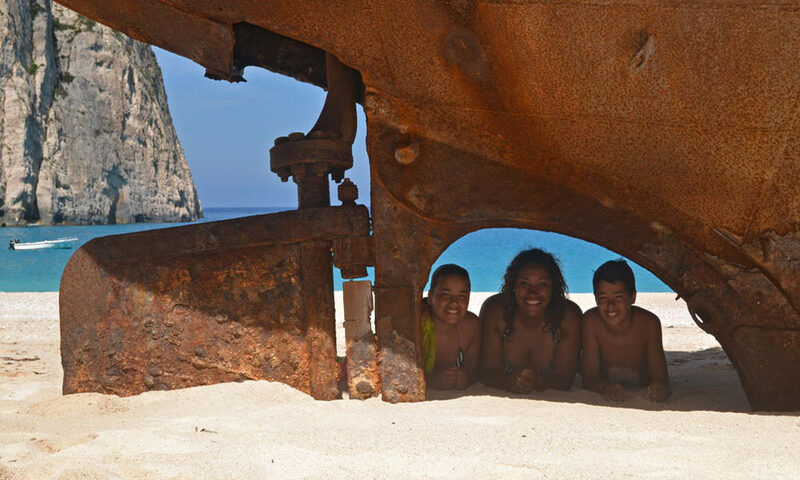 This only happens on the Shipwreck and Blue Caves tours. The east coast of the island as in Blue Caves and Xingia Sea Spa and the west coast as in Shipwreck beach is possible to have 2 totally different sea conditions. 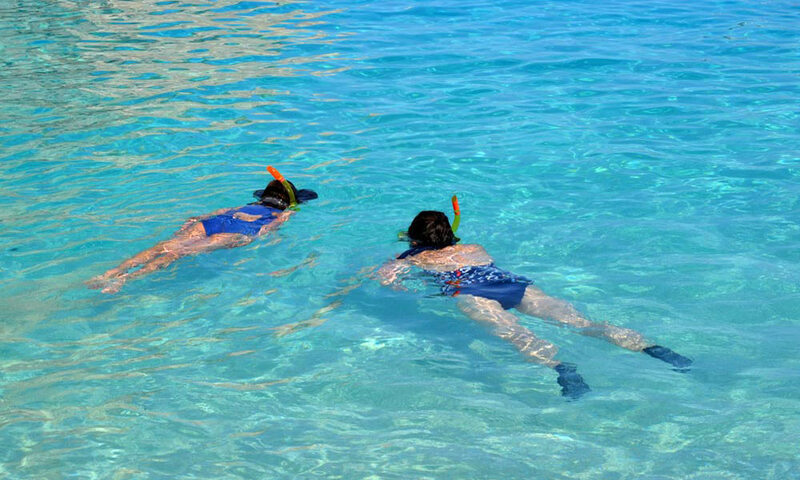 Plan B: We will go to the Shipwreck platform by bus so you'll see the Shipwreck from above and we will offer extra time at the Blue Caves for pictures and swimming, and go to the Xingia Sea Spa after our lunch stop. We will tell you honestly what the situation is and leave the choice to you. You can swap your trip around and go on another day, take a refund or decide to come. From our experience those who came on these few rare days that this happens in the summer, still had a great day out. And as we said it is a 50-50 situation sometimes the wind drops, while we drive to the harbor and we can still sail to the Shipwreck beach. We at Nefis Travel just want to be as straight forward about as we can be and will always be honest about the weather conditions. 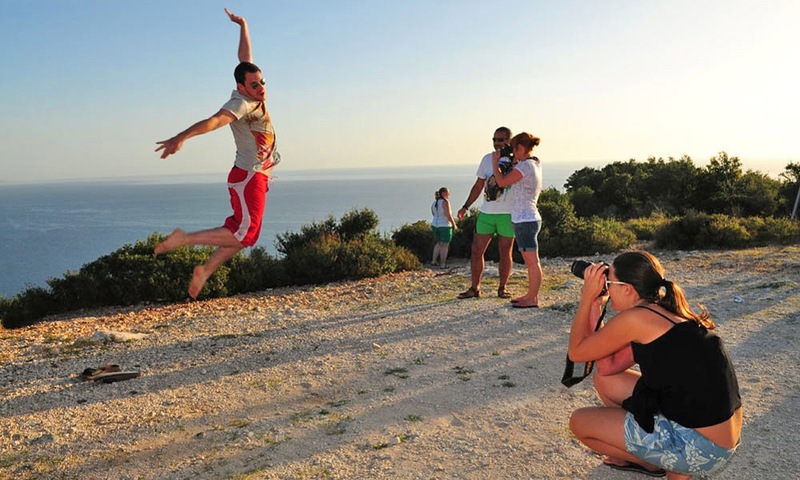 Are you looking for insider information and things to do in Zante? 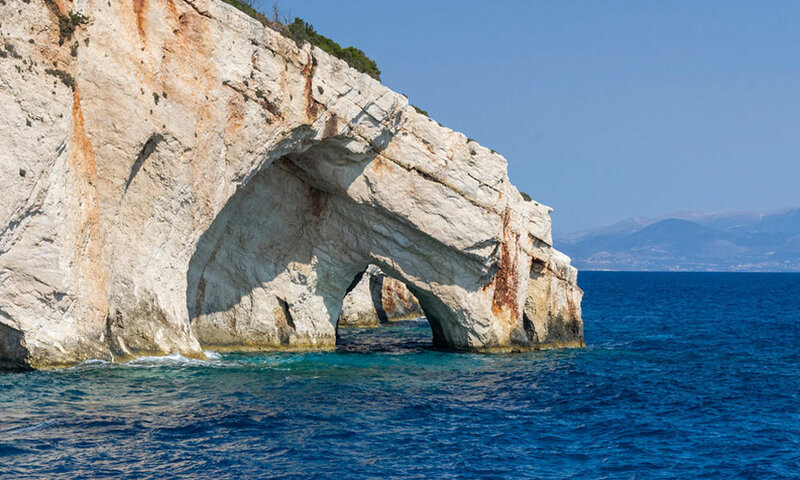 We will happily show you the hidden treasures and top sites, Shipwreck bay, the Blue Caves and turtle island, away from the crowds on Zakynthos. Enjoy and explore the authentic and natural highlights in small groups with local interaction. Experience pure relaxation with our unique “off the beaten track” formula, that creates fun in the sun VIP tours with great value for money. Our offices are based in Tsilivi resort but, by appointment, we travel to all the resorts in Zakynthos where you can meet us to select your tours and book your tickets. We arrange free transfers from Zakynthos resorts, so you can easily enjoy a Nefis excursion and Zante VIP tour with us. 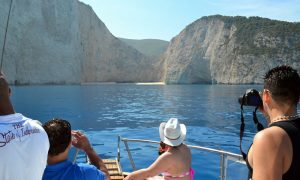 NEFIS TRAVEL, ZAKYNTHOS ZANTE - Zakynthos VIP Tours, Cruises, Boat Trips, Excursions.